10.04.2012, Berlin | The publication “Ilana Halperin. New Landmass/Neue Landmasse” which accompanies the exhibitions Hand Held Lava and Steine will be presented in the Ruin at the Berlin Museum of Medical History at the Charité on Monday, April 23, 2012, at 7 p.m. Following the book presentation, guests are invited to visit the exhibition Steine. Edited by curators Sara Barnes and Andrew Patrizio and designed by Tess Wood, the catalogue includes texts by Gillian Beer, Horst Bredekamp, Ilana Halperin, Thomas Schnalke, volcanologist Hugh Tuffen, and the curators themselves, most of which have been written especially for the catalogue. 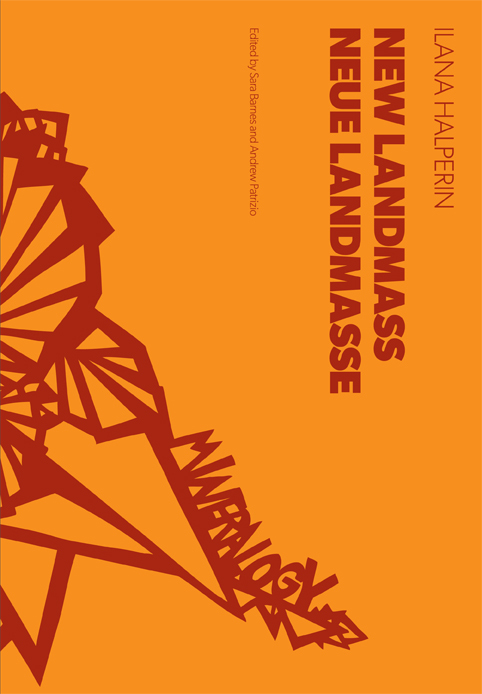 The publication “Ilana Halperin, New Landmass/Neue Landmasse” (in German and English | € 15 | ISBN: 3-9810220-6-8) accompanies Ilana Halperin’s first two solo exhibitions in Germany: Steine at the Museum of Medical History at the Charité and Hand Held Lava at the Project Space of the Ernst Schering Foundation. You are currently reading BOOK LAUNCH FOR NEW LANDMASS/NEUE LANDMASSE at geologicnotes.